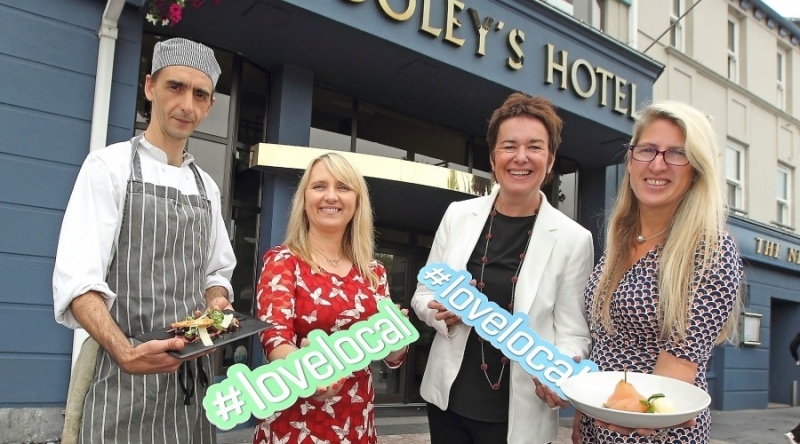 As part of this year’s Harvest Festival Local Enterprise Office Waterford will host its 7th business networking lunch which celebrates local food producers on Friday 7th September in Dooley’s Hotel Waterford. The lunch serves as a platform for the celebration of food in Waterford and allows diners to enjoy the best of what Waterford has to offer. The lunch has become a very popular event during Waterford Harvest Festival and has quickly sold out in recent years. This year the key note speaker will be Colin Jephson of Ardkeen Quality Food Store. The store has built a reputation for specialising in sourcing the best fresh produce and local foods from artisan food producers. Ardkeen Quality Food Store has developed a unique food offering through understanding that customers want to know and trust the people who produce their food and through using links developed over the years with good food producers, they now have a wide range of fine quality locally sourced food. The business networking lunch is an annual event on many business calendars as it is a great opportunity to network, whilst enjoying a delicious lunch. The kitchen team at Dooley’s Hotel use all their talents to showcase the quality products and producers of the region.